The speed and intensity displayed by both teams made this first half the most dramatic of the autumn series. Ireland could not have dreamt of a better start, going 17 points up in almost as many minutes. The first try was the result of Johnny Sexton’s brilliant vision and execution of the kick that set up Simon Zebo. For the second, Tommy Bowe intercepted a miss pass and ran the full length of the pitch when Australia had a four man overlap. 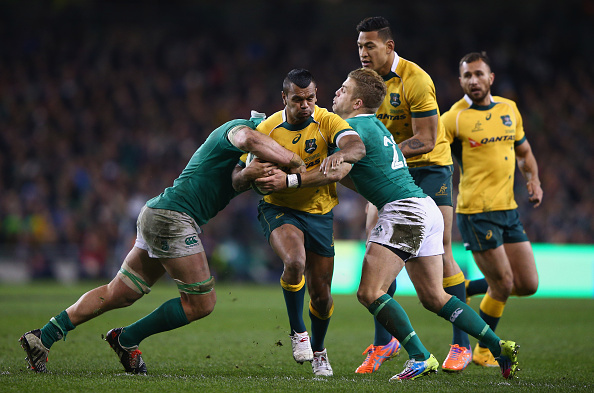 Given the ferocity of play, a Wallabies comeback seemed inevitable and the game was end to end. Despite there being fewer tries, the second half was just as enthralling as both sides went at it, leaving nothing in the locker. The total commitment in the dying minutes was a great advert for international sport, showing that professionalism hasn’t killed the passion of pulling on the jersey. If Ireland struggled slightly with the width the Australians were able to use in attack, this was counteracted by superb defending. Unlike South Africa and Georgia who looked to win the kicking battle, the Australians’ first instinct was to keep the ball in hand. Ireland had great line speed but the Wallabies played with decoy runners which held the Irish midfield and enabled them to get outside the defence. Ireland must look to vary their defence and be ready to drift against sides who move the ball wide at speed. The fourth official might cause confusion within the ground (and even with the commentators) but the decision to award Australia’s second try was the right one. To the naked eye, and in real time, it looked like the ball had drifted forward. Only when repeatedly shown in slow motion was it clear the pass had been backwards and the try should stand. TMO referrals do break up the game and I can see why many traditionalists don’t like it but it did help the referee in what was a pivotal moment in a very tight affair. Joe Schmidt’s side might have moved up to the dizzy heights of third place in the world last week but as that came about because of other countries defeats, it didn’t bring the same amount of satisfaction they’ll feel this week. Having only suffered one defeat in 2014, and beaten two south hemisphere giants in three weeks, there is a lot to be optimistic and hopeful about. 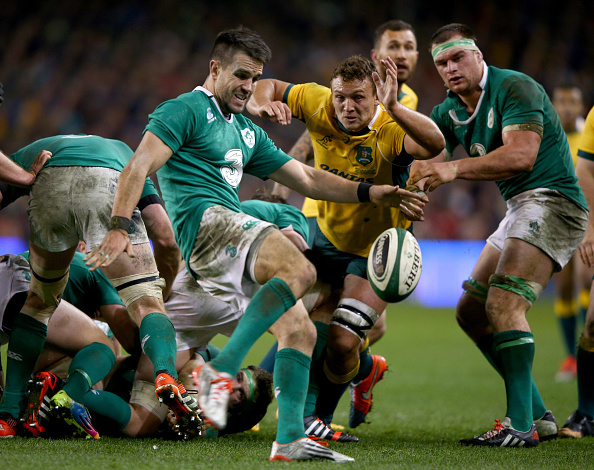 Against Australia, Ireland finished that match as a team determined to no longer be the ‘nearly’ men. Similar to the New Zealand match last autumn, Australia had the ball for most of the final 10 minutes. However this time the Irish defence stayed alert and their discipline was first class. The character Schmidt has built within the squad is epitomized by the man himself. It’s almost inconceivable to think he sat through that game with appendicitis and yet, the commitment that demonstrates, will surprise very few. With the half-backs gelling so well together and Ireland’s talent for chasing kicks, they are in the habit of using the boot to turn defenders. It is effective but it would be good to see more variety in attack. On Saturday, one try came from a kick and the other an intercept. Even against the Georgians, Ireland struggled to break them down until the final quarter. They need width and they need more pace in their attack. One player who will help this going forward is Robbie Henshaw. He is only twenty-one years old but he is also one of Ireland’s most exciting prospects and having youngsters of his ilk coming through will not just add talent to the squad but force everyone else to raise their game.